• 3bedroom/3bath house in Santa Monica California. • Simplistic eco-conscious design that is focused on functionality and creating a breathing family environment. 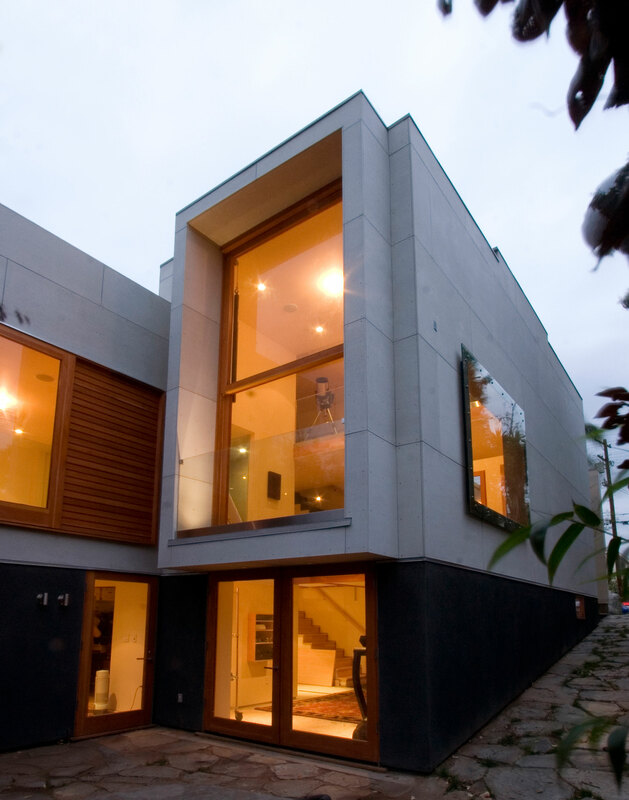 • The house is oriented on the site for optimum advantage of natural light and cross ventilation. 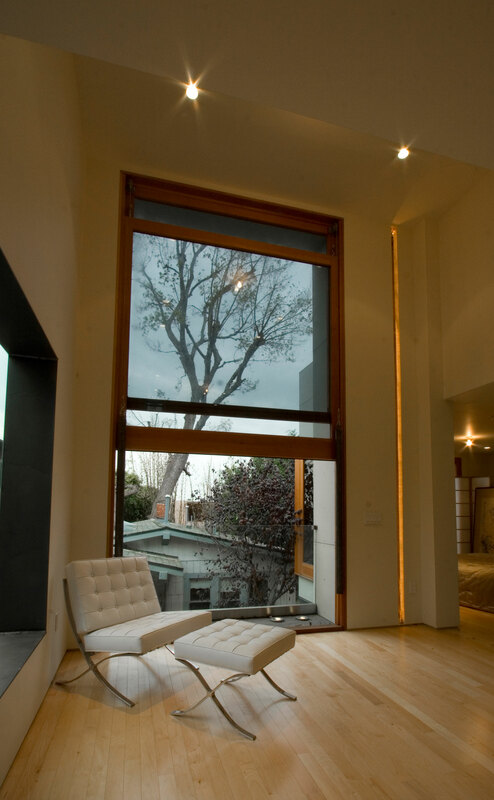 • Maximum use of natural light to cut down electrical cost. 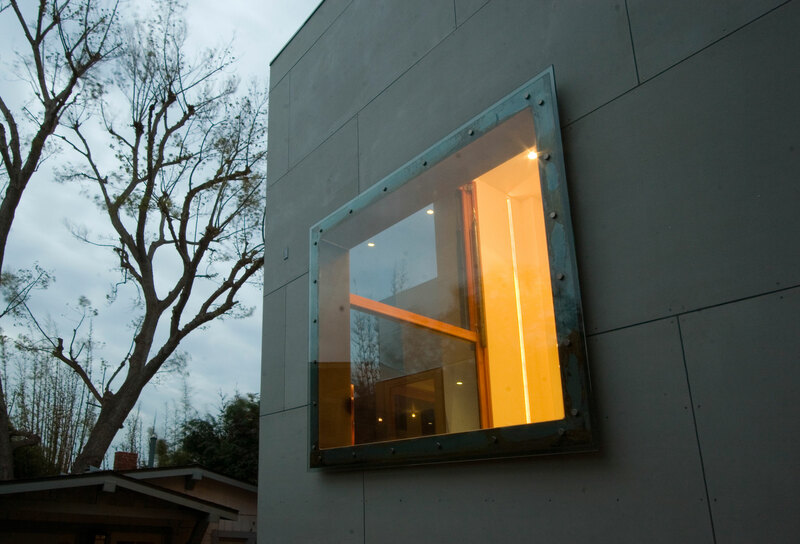 • 9’ x 16’ Single hung window, balanced with steel weight, maximizing indoor/outdoor living. The red (volcanic) kitchen island creates a multi-functional gathering point in the heart of the house. The rubber staircase combines elements of strength and infinity. • Windowsill in living room made of steel creates an additional seating area with magnetic cushions that can be rearranged to ones needs. • Front skylight to create natural light in kitchen. 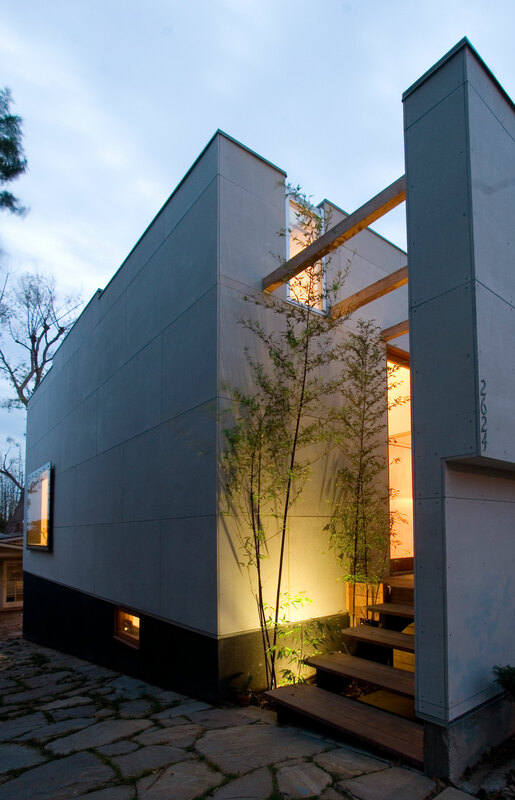 • Entry courtyard to create privacy from busy street. • Material manufactured from recycled tires is used on kitchen cabinetry and kitchen chairs, creating an elegant kitchen unaffected by normal wear and tear of family life. • LED light design in I structural beam in order to make indoor use of structure and create ambiance. • Bookshelf functions as railings/barriers between floor plans. • Headboard in master bedroom is cladded with the flooring material to give unobtrusive feel of space.